A stunning religious canvas wall hanging by Thomas Blackshear. 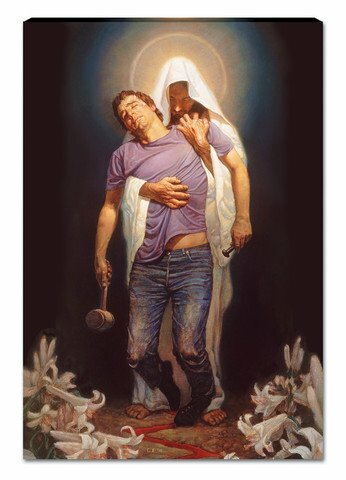 It depicts a man who has gone as far as he can go on his own and now seeks forgiveness, comfort, relief, grace and mercy from the Messiah, Jesus Christ. If you have any questions about this product by African American Expressions, contact us by completing and submitting the form below. If you are looking for a specif part number, please include it with your message.